The Wired Magazine article is up online and can be found on their site here. 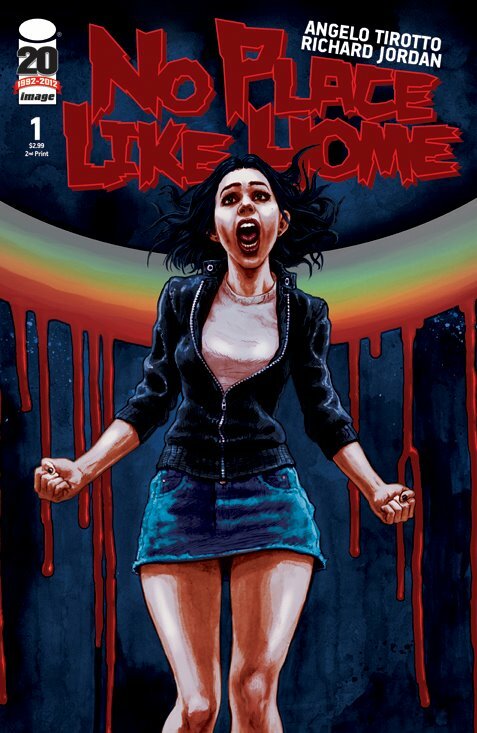 No Place Like Home #1 has sold out from Image Comics. Congratulations to Angelo and Richard. A second printing will be released with a new cover the same day issue #2 hits shelves on March 21. Only five more days left to contribute to 86'd: A Horror Anthology. Please check their site and help with their funding drive on IndyGoGo. Recently out this week Green Wake #10 was the last issue of the series. I've been lucky enough to have been in two books written by Kurtis Wiebe (Peter Panzerfaust) and three books drawn by Riley Rossmo (Rebel Blood). Both have various projects happening now but will be teaming back up later in July this year for Debris, also from Image Comics. Thanks boys for an.. uh, interesting read in Green Wake, and much success to your future projects.